Roomier fit that provides a casual look and good range of movement. The Bormio multipurpose skirt with removable padded liner is a great accessory piece to wear anytime. The removable liner allows you to fully enjoy the benefits of padded shorts for riding, with the stylish look of a skirt. The Bormio multipurpose skirt with removable padded liner is a great accessory piece to wear anytime. The removable liner allows you to fully enjoy the benefits of padded shorts for riding, with the stylish look of a skirt. It's also packable, which means you could remove the liner to wear the skirt over your shorts or tights on the way to your activity, and afterwards to maintain a casual look. It's at home anywhere you choose to wear it, with high-performance fabrics and features that work for you during physical activities. It's water, stain, and abrasion resistant, and features an elastic waist to keep it in place, a zippered side pocket to store essentials and a secondary pocket for added storage. With its 17" length, it's perfect for cycling, Nordic skiing, hitting the gym or just hanging around at home. 95% polyester, 5% spandex top layer for better moisture management and good stretchability. 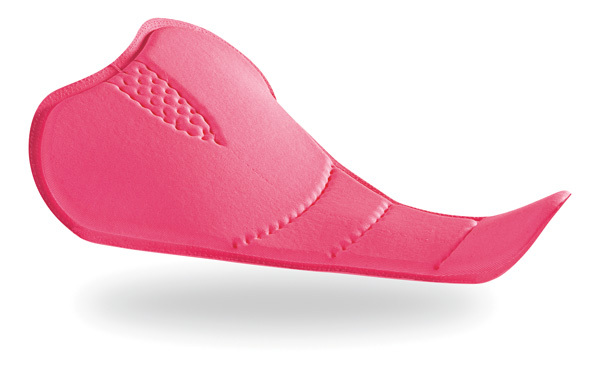 Anatomic fit padding designed for the recreational cyclist in a minimalist shape that offers great comfort. Minimal thickness for maximum versatility in fitness activities. High-density foam for a good support. 4-way stretch provides a better fit while riding. Seamless construction eliminates pinching points and chafing.